This content was originally published in the Miami Herald on August 16, 2016 under the title “Venezuela’s friends in Beijing worried”. All but the most steadfast of Chavistas would concede at this point that Venezuela is in a period of crisis, brought about by poor economic management and the drop in global oil prices. The South American nation now has the world’s lowest economic growth rate at negative 8 percent. The government of Nicolás Maduro has made some last-ditch efforts to cut costs and pay off debts, but it is quickly running out of lifelines. As it has for over a decade now, Venezuela is looking to China for much-needed financial assistance. Chinese officials are in close communication with Caracas and plans to visit China are seemingly always in the works. But Beijing is carefully weighing the benefits and drawbacks of continued engagement with Venezuela. The oil-rich nation has featured in long-standing Chinese debates on energy security policy. Perspectives on the Venezuela situation and what to do about it still vary among the many individuals and institutions that shape China’s foreign policy. Previous Previous post: Have Brazil’s Problems Cost it International Clout? 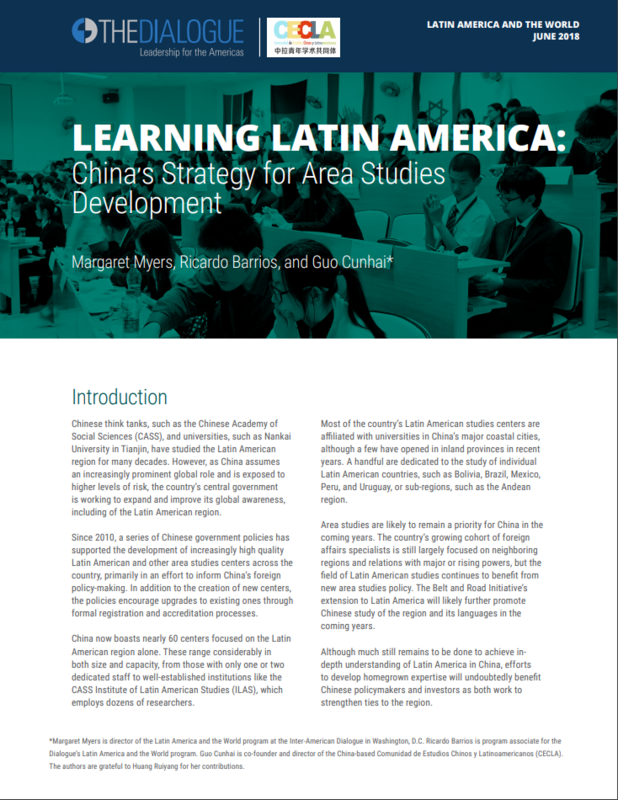 Next Next post: Can China Make New Friends in LAC?